Pantone has declared ‘Honeysuckle’ to be the 2011 Color of the Year. Ignoring all of the obvious like is there a beauty pageant where the candidate colors need to perform in the talent competition, the burning question we have is who decided that a hot pink is going to be called ‘Honeysuckle’? Honeysuckle, where we grew up, is a soft cream to yellow, with occasionally a warm blush in the throat of the flower. It in no way resembles the screaming hot pink that is being called ‘Honeysuckle’ by Pantone. Not that we have anything against hot pink (or Honeysuckle) – after all, Mattel’s Barbie doll would have a greatly diminished wardrobe without it – but we find ourselves more interested in hunter green these days. Rich, luxuriant, the color of growth and the color of money, we see hunter green as being an important color in coming years (although it’s obviously not going to be the trend color for 2011). We also like foxes. OK, enough with the owls. The owls had their 3D movie (Guardians) and now we can move on to more interesting trendy animals, like foxes. That’s right – we think foxes will be the new meme, replacing owls as ‘the’ trend. Watch for fox prints and lifestyle products of all sorts in the next couple of years. We’ll know foxes have crested when they too get their own 3D movie. And the whole equestrian lifestyle is interesting to us. Possibly it is because we don’t have to drag ourselves out into the cold and muck out a horse stall at 5 am while a large quadruped is doing its best to maul us in search of snacks. It’s amazing how having a horse step on your foot can really put you off your stride and think bleak thoughts about stall-bound trend setters. We also like the direction fashion technology is taking, although we do have to admit to a lot of WTF moments every time we hear someone has Bluetooth-enabled a ski glove. No, this isn’t hot design, it’s fatuous. Who in their right mind puts technology on the part of the body most like to slam into the ground at speed? The only thing less well thought out would be putting it on a ski boot. Bluetooth can’t be compared to Timex, which could take a licking and keep on ticking. Despite Haro’s Peter Shankman raving about the Scott E-vest and its popularity with the geek set, it’s still not really fashionable even if it is functional. What we’d really like to see is wearable technology applied in a way that makes sense and actually enhances the fashion it is applied to. Right now, what we’re seeing is a lot of gimmicky stuff that can’t be easily manufactured, it’s ugly, and there doesn’t seem to be any real point to it. It appeases the tech set, though, so despite the ‘Fugly Factor’, we guess we’ll keep seeing this sort of thing. Perhaps the most functional thing we’ve seen in fashion tech has been a hoodie with iPod cabling built in. Plug your iPod into the outlet in the pocket, attach your earbuds to the wires in the hood, and away you go. We wouldn’t be caught dead in a hoodie, but they are a major fashion statement amongst the iPod set. One of the critical things prohibiting wider spread use of emerging technologies in apparel is the issue of power supply. It’s a bit difficult to apply some particularly witty bit of technology to make a fashion statement when the frock or chapeau has to be plugged into a wall for power. Fashion is still meant to be worn and seen, and it’s a bit tough to do that when you have to linger near a power outlet. Changes in battery options, such as the further productization of thin-film batteries, will help fashion get past this need we have to not be tethered to a wall for juice. So to recap emerging trends for 2011: green foxes wearing iPod-enabled hoodies emblazoned with equestrian prints. You heard it here first. Rumen Leather: Ick! vs. Fabulous! Last week one of our trend publications featured a product called rumen leather that we posted about because it was just so ickily cool. In the past week, we’ve had scores of email messages and conversations about this product, which isn’t one of ours, FYI. What is curious is the very clear divide between consumer and maker messages. Uniformly the consumer messages fell unequivocally into the ‘disgusting/gross/OMG you can’t really mean you’d use that’ camp. The maker messages, on the other hand, wanted to know how much it cost, what the hand was like, it’s availability, how it would wear…in short, all of the questions a designer would ask before trying to specify it as a component in a product. What was interesting to us about this body of correspondence, and the divide between vile/disgusting and let’s-use-it, is that this is the same historical chasm between creator and consumer that divides us in our understanding. To a creator, anything can be fodder for a creative endeavor, even something like raw meat to make a dress for Lady Gaga (ok, going open kimono, we thought that was disgusting…cool but disgusting). 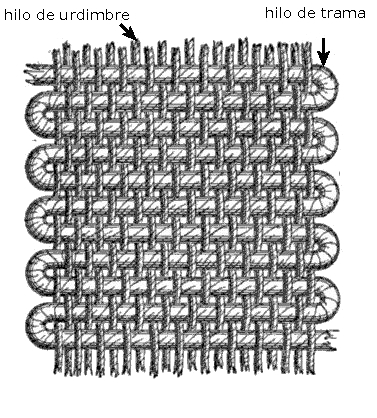 A consumer who is accustomed to buying their carefully pressed and folded T-shirt off the rack doesn’t see the T-shirt as its component parts of a pile of cotton fibers and some dye, nor do they necessarily see the T-shirt itself as being a possible future component that could be distressed and upcycled into something new and (one hopes) more interesting. It is this dichotomy that lead to the Ick! vs. Fabulous! division in the communications about the rumen leather. Makers tend to know their components come from somewhere – cotton fibers from cotton plants; leather from the skins of animals – and the origins concern us less than the supply chain questions (where do you get it, is it available, how much). Consumers largely do not know or care about the supply chain considerations and tend to be pretty insulated from the actual ingredients list in their products. Sure, we can read the labels, but we’re betting that if rumen leather were actually used it would be listed as ‘cow leather’, not as ‘cow stomach leather’. We’re also willing to bet that if a designer used rumen leather in some fabulous thing like a handbag, and she slapped a pretty name on the specialty leather (velvet leather, maybe) that far from being icky, rumen leather would in fact be trendy and highly coveted and sought after. And we would so want that bag, albeit for different reasons. The Chemistry of Fashion: Scratch-and-Sniff Lab Dips? Earlier we wrote about a new invention in polymer development that involves using catalysts to dye the polymer, where one of the questions we asked was how lab dips would be handled. Little could we know that not two weeks later PC World’s Geek Tech would publish an article about scientists from Japan developing a printer and ink that would print scents onto paper. Now, admittedly, it is very early days, but it’s also just a short step to move from paper to textiles, and from there to deal with the productization challenges of getting the ink to sustain the scent through the manufacturing and retailing processes. Chris Brandrink asked: How or why would you use scent printing? Well, we’re sure that every children’s wear or home furnishing designer out there would have ideas – even if they can’t get the scent onto wovens, so how about cute aprons or dresses made of nonwovens (like the wonder textile Tyvek) where they could have floral print borders with scent printed patches? Or for the home furnishings market, how about Christmas table runners printed with pine and cinnamon? Or for the goth crowd, hand fans printed with patchouli and musk? And of course, for Valentine’s day, the rose-drenched love letter. There are tons of wonderful things one could design using scent printing, but the technical designer immediately wants to know how the scents are going to be matched from what the designer intended to what the factory sends back. There are additional issues in printing with scent – how do you handle the issue of allergic response which is increasingly common? As it is, there is a miasma of disgusting smells released when a box of new counter samples fresh from the factory are opened. Between the manufacturing chemicals, and whatever fumigants were used to prevent vermin and pests from hopping a ride overseas, it’s a pungent mix of odors. Now add in printed scents, and we may need to add oxygen masks to a designer’s tool kit. And of course, we are back to the whole question of lab dips…in addition to our CYMK color match swatches, are we also going to be presented with a set of scratch and sniff swatches to match the scents to as well? Fashion designers may need to learn a whole new language of smell on top of color.